This road is now known as Chaplain’s Hill. The houses are still there, and there are some garages as well now. The trees in the centre aren’t there any more, having at some point been removed to provide a small parking area. 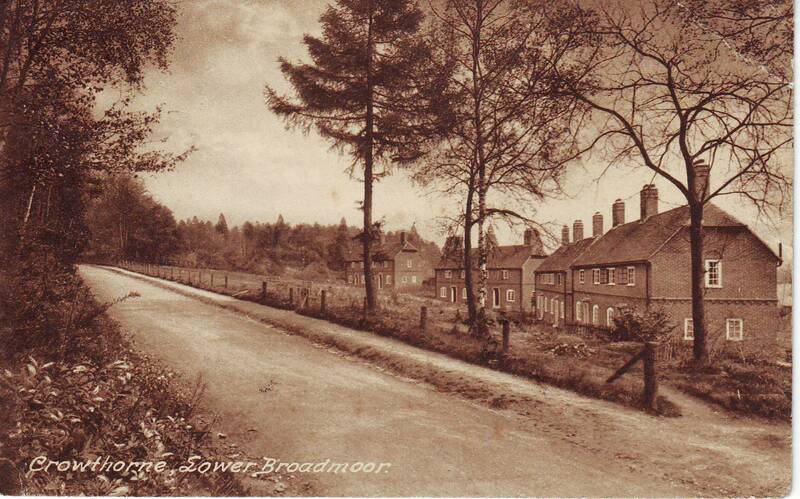 I thought you might be interesting in the following site where I am posting some of my memories of Crowthorne in the 1950s, 60s and 70s. I am enjoying seeing your old photographs.